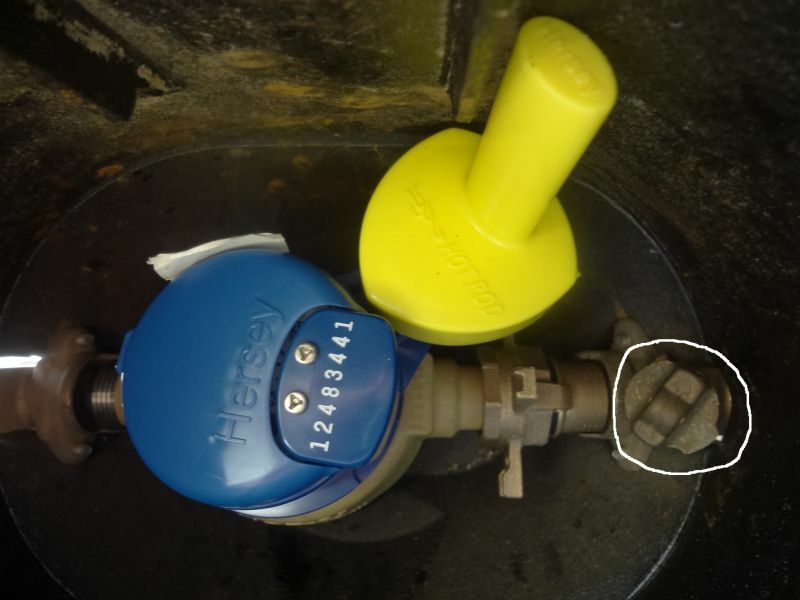 Hersey Meter - This is one type of meter in our system. Remove the lid by using a large screwdriver. Insert the tool into the hole on one end of the lid and pick it up off the box. 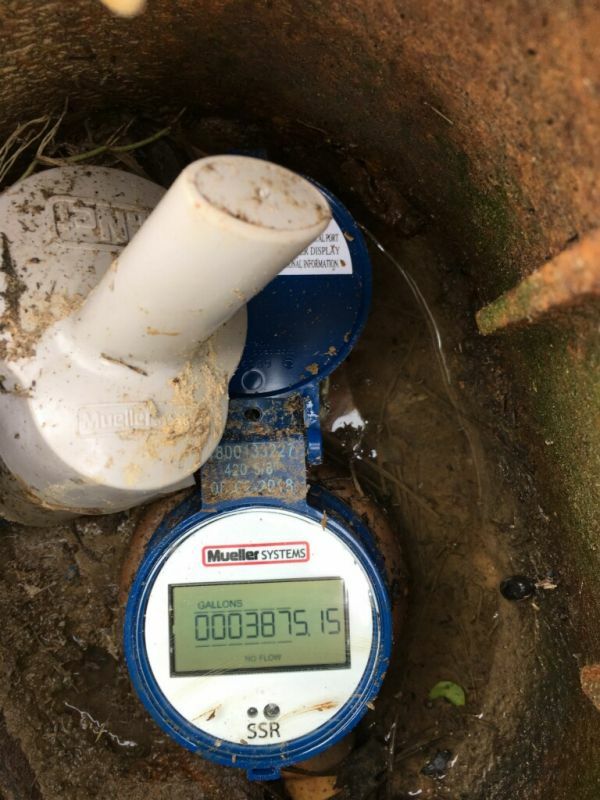 Sardis Water uses a couple of different types of water meters. All have a meter register that looks very much like the odometer in your car, and have six or nine digits to read. The meter readings are read in thousands of gallons. Yellow part - is the antenna that allows our meter reader to read the meter electronically by computer by simply driving within signal range of the meter. Red Triangle - is a very low flow leak detector that registers water flow, even when nothing is supposed to be on. Read the Dial - for the typical residential meter, each rotation of the small dial measures 10 gallons. Read the number display from left to right. The last three (3) on the right are the hundreds and ten gallons registered. These last three (3) numbers are not included in the billing cycle. The four (4) or more numbers left of the 100s and 10s are the 1,000 gallons used. The thousands will be the meter reading used in billing. These thousands will be your present meter reading at the time it is being read. Charges for the amount of water consumed are rounded to the nearest thousand gallons used during a billing cycle. Compare that reading to what your bill shows as your present reading. Meters are read each month, usually in a 4 to 7-day period between the 20th and 27th (varies if there is a holiday), not including weekend days. Readings are uploaded from the meter reading computer to the billing computer and the water bills are printed and mailed between the 2nd and 7th day of the month, depending upon how the weekend falls. Gray Part – is the antenna that allows our meter reader to read the meter electronically by computer by simply driving within signal range of the meter. To verify if you have a leak. Make sure all faucets inside/outside are turned off. Go to the meter and if it’s not showing anything take a flashlight and wave it over the display and it will display whether or not you have a leak. Read Number Display lines above and below the numeric display indicate the billing units. The thousands will be the meter reading used in the billing cycle. The numbers to the right of the display are not included in billing cycle. If any questions call the office for further information. 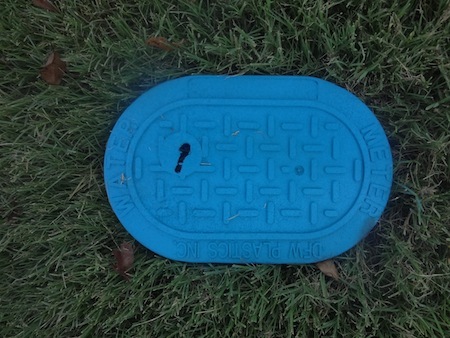 Charges for the amount of water consumed are rounded to the nearest thousand gallons used during a billing cycle. Compare that reading to what your bill shows as your present reading. 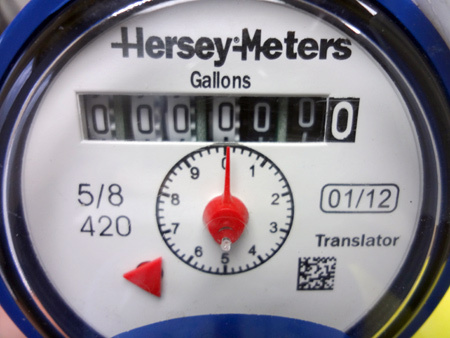 Meters are read each month, usually in a 4 to 7-day period between the 20th and 27th, (varies if there is a holiday) not including weekend days. Readings are uploaded from the meter reading computer to the billing computer and the water bills are printed and mailed between the 2nd and 7th day of the month, depending upon how the weekend falls.